As Nepal is considered a third world country, travelers should expect basic conditions on public transport, at airports and throughout the country as compared to western standards. Without a doubt, however, a great majority of travelers recommend Nepal as a truly open and honest country where you’ll experience meeting people at all levels of society. 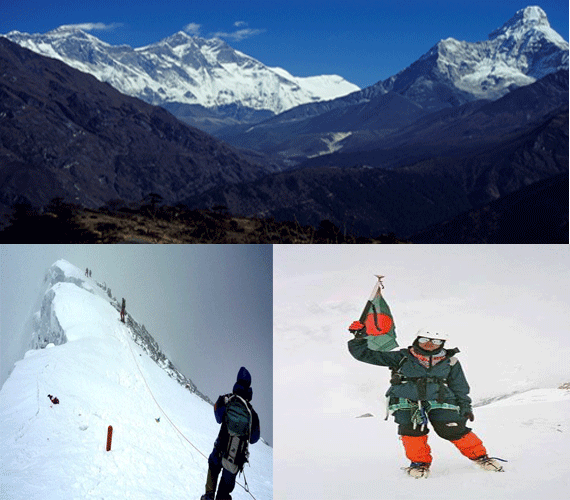 In other words, Nepal will certainly open your mind and eyes to another way of living. 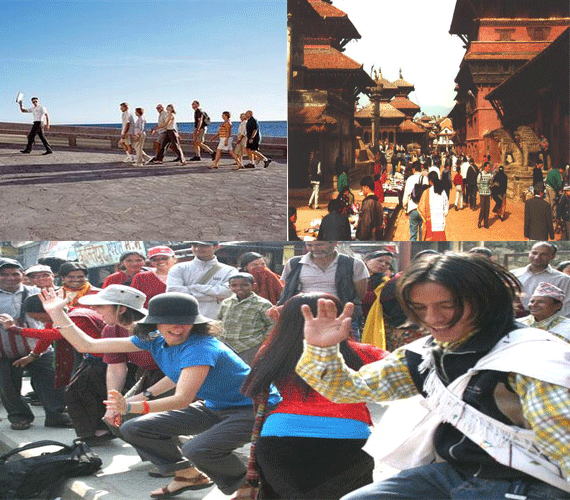 Travelers do insist that you need an open mind, open heart and good sense of humor to truly experience the ‘real Nepal’. Almost all travelers end up falling in love with the scenic beauty of Nepal and its people and the memories are forever imparted in their minds and hearts.There are some Do’s and Don’ts for Tourists. 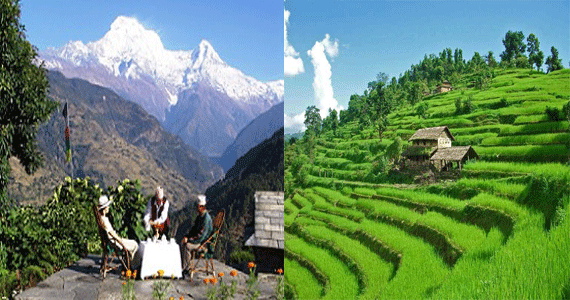 The climate of Nepal varies depending on the altitude of the area visited. A visit to Nepal is possible all the year round, but activities such as mountain flights, jungle safaris, rafting and trekking are best done from October to May. Metered taxis having black plates with white figures are available in Kathmandu. Metered tempo (three wheeler scooters) is also available and is slightly cheaper than taxis. Bicycle, motorcycles and rickshaws are also available on hire. The fare for the bicycles or motorcycles is fixed whereas the fare of rickshaws is to be negotiated. 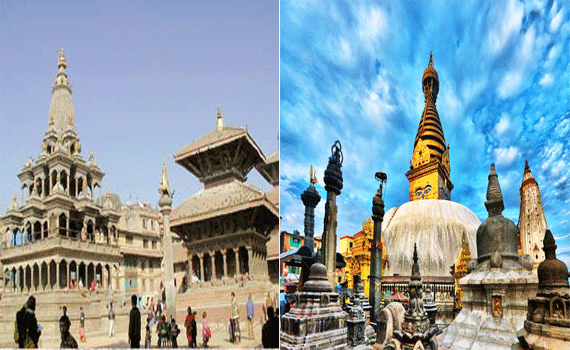 There are regular bus services between the main town and interiors of the Kathmandu valley. The bus terminal is located at Gongabu (new bus terminal) and Bagbazar (old but terminal). Similarly, scheduled bus services for outside the valley operate from the Gongabu Bus Terminal which is located near Balaju, Kathmandu. Please ensure that all water is boiled & filtered before consumption. Normally all hotels and reputed restaurants in Kathmandu serve safe water but while eating in ordinary establishments do not eat green salads and when you need to drink stick to soft drinks or bottled mineral water.Iodine tablets are easily available for treating water while in the trek. A travel insurance policy that covers theft, loss & medical treatment is recommended. You should make sure that your insurance policies also cover soft adventure activities during your stay in Nepal /Tibet such as rafting and trekking. For high altitude trekkers and climbers, policies should also cover helicopter evacuation expenses in case of serious illness or accident or if clients are stranded in remote areas due to the unexpected. Kaolin preparation (Pepto-Bismol), Imodium or Lomita, for treatment of severe diarrhea. 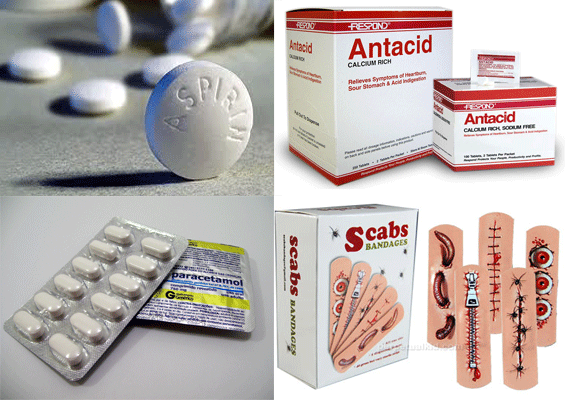 Bandages & band-aids – for minor injuries. Insect repellent sun block, sustain lotion, water purification tablets. Diamox for altitude sickness if you are going for high altitude trekking. Your regular medicine, vitamins if your are taking any. In case of illness there are a number of hospitals with good facilities for treatment in major cities with English speaking medical staff. Nepal contains a number of radical political groups, especially in the southern Terai regions near India. They include active Maoist insurgents — particularly the Communist Party of Nepal, which the U.S. State Department has branded a terrorist organization — as well as simpler criminal organizations that will rob and kidnap Western citizens if they come across them. U.S. government employees cannot travel outside the Kathmandu Valley without special authorization. Private citizens who do so should register their itinerary with the U.S. Embassy, travel only during the daytime, and never go anywhere alone. 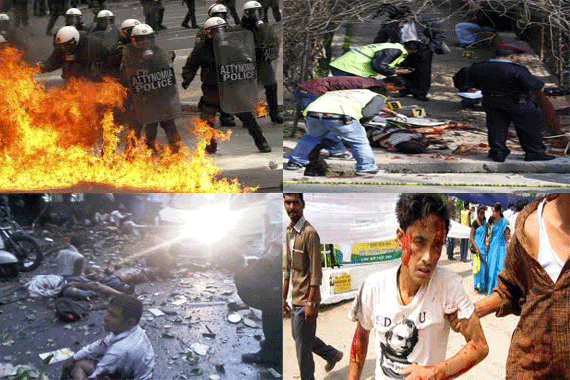 On 30 April 2012, a bomb exploded during a political protest in Janakpur, south-east of Nepal, killing four people. A bomb exploded at the entrance to the Nepal Oil Corporation (NOC) in Kathmandu on 27 February 2012, close to the offices of the Supreme Court, the Prime Minister and other parts of government. According to local reports, three people have been killed and seven injured. Four explosive devices were detonated between 25 to 28 March 2011 on public buses operating in the Terai region. One person died and 44 people were injured. Do check your country’s embassy or foreign affairs office for update on security concerns in Nepal. Despite political clashes that often occur, Nepal is overall a very peaceful country adorned with majestic natural beauty. This article will take you on a tour of the top 10 tourist spots of Nepal which will no doubt leave you believing it’s one of the most beautiful countries of the World. The Gosainkunda lake, basically a hindu tour site, is one of the best and most popular religious place to visit in Nepal. Goshaikunda is situated at the altitude of 4380m to the north of Kathmandu on the Langtang trekking trail. This holy lake is two days trek from Dhunche (1950m) that is reached over adventures 132-kms mountain road from kathmandu via trishuli bazzar.There are nine other important lakes in this area such as the Ganesh kunda, Bhairav, Saraswati and Sourya. It is believed that the lake was created by Lord Shiva when he thrust his Trishula (trident) into a mountain to extract water so that he could cool his stinging throat after he had swallowed poison. 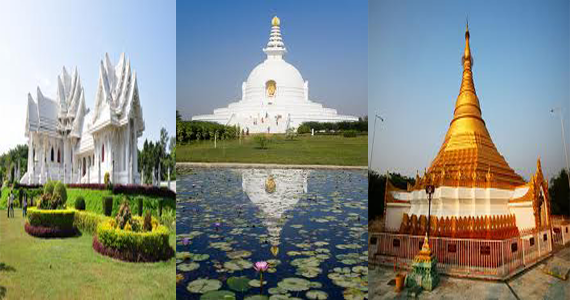 Lumbini is a Buddhist tour site. It’s awesome beauty attracts many tourists. Lumbini is the temple of Maya Devi containing a stone relief depicting the birth scene of Lord Buddha. Buddha, known as the Lord of Asia, was born in Lumbini during the full moon day in the month of Baisakh in 623 BC. It is situated about 22 km. from Bhairahawa (Siddharthanagar), below the Churia range, 24 km. south from the foothills of the Himalayas, on the western bank of Telar river in Rupandehi district of Lumbini zone in Nepal. It is about 300 km. west of the capital city Kathmandu. Gorkha is the ancestral hometown of the Nepal’s ruling royal family. It is situated 140km west of Kathmandu at an altitude of 1,135 meter. Prithvi Narayan Shah, conqueror of the Kathmandu valley and the founder of modern Nepal was born here, at Gorkha. The four major rivers which run within and along it are: Chepe, Daraudi, Marsyangdi and Budhi Gandaki. The Royal Chitwan National Park, established in 1973, provides a great wildlife experience with its rich flora and fauna. Chitwan is only 150m above the sea level. It covers an area over 932 sq. km and it shelters the endangered species such as the: Wild elephants, gharial crocodiles, the elusive Royal Bengal Tiger, asiatic on horned rhinoceros, and the Gaur (the largest of all the bovine) striped hyena. 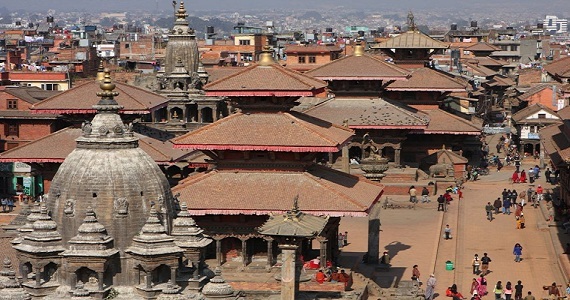 Patan is one of 3 royal cities in the valley which is located about 5 km south of Kathmandu in the Kathmandu Valley, on the southern side of the Bagmati River. The city is compatible with a rich tradition of arts and handicrafts as it is the birthplace of master craftsmen and artists such as kuber Singh shakya and Arniko.The official name of the city is “Lalitpur” (City of Beauty). Moreover, more than 600 stupas and 185 bahals are scattered throughout the fascinating backstreets. Janakpur, also called Janakpur Dham, is a great religious place and is situated 390 km east from Kathmandu. It is also the capital of the ancient Mithila kingdom and is the home of the unique Mithila artifacts in Nepal. Jnaki temple is the main attraction of the city. This temple was built in 1911 and is in many aspects reminiscent of Islamic architecture. The best time to visit is during the Hindu festival of Sita Bibaha Panchami, when vignettes from the Ramayana are acted out in the streets, bringing the ancient myth vividly to life. Against the vastness of the sky, Kakani, makes a view over the Kathmandu valley and north-western Himalayas ranges for the tourist. It is famous for this magnificent view. The Kakni is situated at 29 north-west of Kathmandu at an altitude of 1982 meters above sea level. The fabulous area of Kakani features attractions ranging from beautiful alpine scenery to the magnificent Himalayan Panorama particularly the Ganesh Himal massif. From this place anyone can enjoy a majestic view of sunset. It’s also very romantic! Dhulikhel is a small town of Nepal. To reach there you have to drive just around 45 minutes from Kathmandu. In order to have the best views of the north-eastern Himalayas, Dhukhel may deserve to be the first choice for anyone. The artistic skill and urban ethos of its’ Newar inhabitants have created a place of charm and beauty. Aside from the breathtaking panoramic views of the Himalaya stretching from Langtang to Everest and beyond, there are plenty of interesting sites to see in the town. Panauti is a small and ancient village, situated at the confluence of Roshamati, Punyamati and Lilavati rivers. The whole village wears traditional costumes. Everything of the village are built traditionally. Every breath is a prayer and every stone is a god here. This is a city of a thousand gods and godesses. Cultural richness, the confluence of Roshamati, Punyamati and Lilavati all bring a sense of harmony to this city. ‘Indreshwar Mahadev’- Shiva temple area of Panauti is a beautiful jewel among the rich variety of sacred places close to Kathmandu. 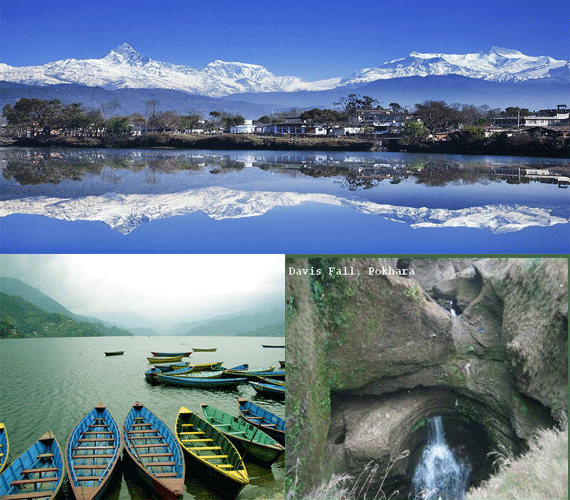 Helambu, famous for scenic grander and pleasant, is situated 75 km north east of Kathmandu. This trek is comparatively easier to do due to the fact that the elevations are lower, ranging between 800m. and 3600m, offering less steep climbing as well as warmer temperatures. The area is less crowded & free from noise in comparison to the Annapurna trek or some parts of the Everest treks. 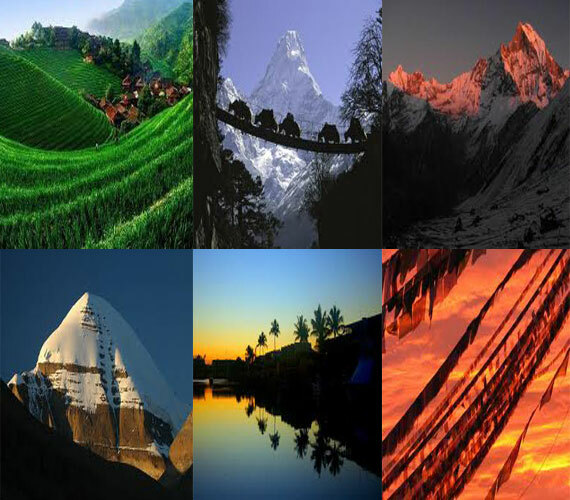 The trek also offers a wide range of cultures to experience and spectacular scenery to see. So do consider traveling to Nepal to observe majestic natural and beautiful scenery and to experience interesting cultures.